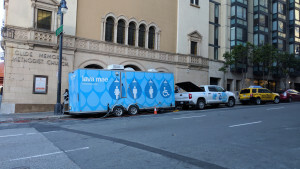 Organizations like Lava Mae provide public shower and toilet hygiene stations in the Bay Area. According to the San Francisco Chronicle, the population overall of unhoused people at one-point-in-time has dropped from 8,640 in 2004 to 7,499 in 2017. However, the same article says that homelessness is rated as the city’s number one problem by many city residents. As busy college students with loans, debt, classes and jobs it can be hard to know how to help others when we really need to help ourselves. But with displaced people filling Oakland’s streets as rent continues to rise, the cost of living growing higher and higher and no resolution in the near future, there are a few things we can do. One: donating money. This obviously is not possible for everyone, especially if you are in college. Two: Volunteer your time or other resources to multiple organizations dedicated to assisting and relieving problems that people without homes face. The National Coalition for the Homeless is a nationwide organization of “people who have or are experiencing homelessness, activists and advocates, community-based and faith-based service providers, and others committed to a single mission: To prevent and end homelessness while ensuring the immediate needs of those experiencing homelessness are met and their civil rights protected” according to their mission statement. Citywide organizations for Alameda, San Francisco, and Oakland. 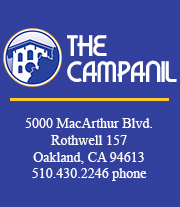 You can find a list of Oakland shelters here. The National Health Care for the Homeless Council strives to provide comprehensive healthcare and secure housing as it simultaneously “advocates for universal health care and for the improvement of current systems intended to serve people who are poor and homeless” as the mission statement says. 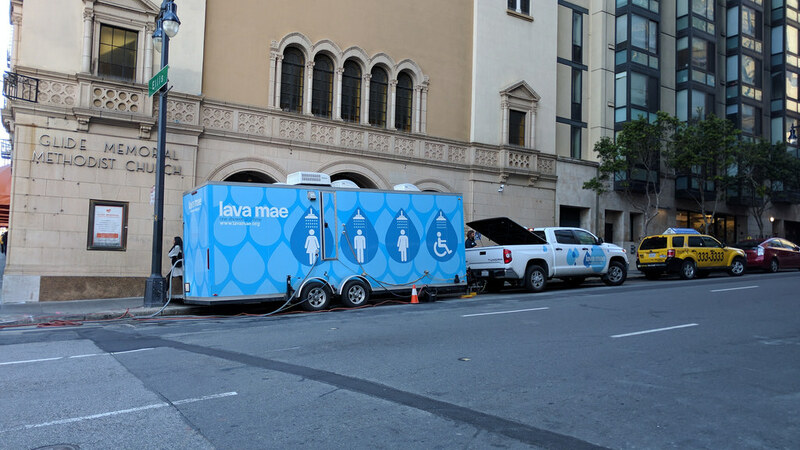 Lava Mae is a mobile shower service that provides unhoused people access to showers and bathroom facilities in San Francisco and Oakland. Founded in 2013, Lava Mae converts old public transportation buses into hygienic stations with showers and toilets. Simply the Basics is a nonprofit based out of San Francisco. They work with other nonprofit organizations coordinating donations so those organizations can focus on their clients, and they provide basic materials for low income families and those experiencing homelessness like socks, shampoo, wet wipes, etc. according to Hoodline.com. Alameda County Health Care for the Homeless aims to make health care accessible for a greater amount of people, coordinating multiple organizations to do so. Services are free to those who cannot pay. The points above are alternatives to directly giving money to those who are on the streets. Some believe that doing so is a bad decision, and since homeless people are stereotyped as drug addicts or alcoholics, they worry that their money would only go towards feeding that addiction, as is a common misconception. According to the Voice of San Diego news, Steve Berg, the Vice President of the National Alliance to End Homelessness, says that drugs and alcohol problems are at a higher rate with those experiencing homelessness than in the general population, but definitely not the only reason why people end up unhoused. “It’s a long way from being the whole problem,” said Berg, in the Voice of San Diego article. If you are someone who gives money directly or want to do more, then there is a way to eliminate the uncertainty of how that money would be used: coupons. It is hard to find places that accept meal tickets but coupons are still helpful. Building a care package of small necessities is another option. However, giving out food is illegal in some cities. As Newsweek reported, communal food sharing has been linked to spreading disease among the homeless, which is why it is now illegal in those cities to publicly share food in some areas. KQED put together a list of places that give free meals to the homeless. All of the places on the list could also use donations of time or money. An organization that has been working to destigmatize meals for those unhoused is Hunger Not Impossible. It does require that the person experiencing homelessness have a cell phone, so this excludes a certain amount of people. The service allows people to pick up meals at nearby restaurants “judgement-free,” as the website says, instead of having to go to one part of town or one kind of store. You can always hand out information cards or flyers to those experiencing homelessness in different languages about where they can find resources. You could even list some of the places in this article. And you can always do a combination of the three — donate a little each month, year, whenever you can, give out coupons, care packages, or money to people who ask on the street, and/or volunteer with local organizations dedicated to addressing this issue. The National Coalition for the Homeless website has an acronym they use for those who would like to get involved: C.A.R.E (Contribute, Advocate, Reach Out, and Educate). So if the options above don’t work for you, there are always more options out there with specific organizations. There are various projects around the Bay that follow homelessness and provide information, guides, and resources for and about the homeless. The SF Chronicle, along with several other organizations, started the SF Homeless Project in 2016 which offers some great resources and information about the demographics of unhoused people in San Francisco.